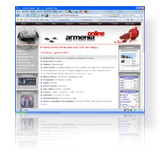 Taxation in Armenia - Value added tax .:.::. Everyone who conducts independent economic activity (business) in a legal form and carries out taxable transactions must pay VAT with the exception of those who are subject to simplified tax (if revenue from taxable transactions during the previous calendar year does not exceed AMD 50 million). Individuals importing goods in the RA also pay VAT if the quantity or the cost of commodities imported exceeds the legal limits (USD 300 or Weight 50 kg) established under the Law. b) goods imported into the territory of the RA in the field of humanitarian assistance and charity, which are determined to be exempt from VAT by the authorized bodies of the Government of the RA. sales of valuables and treasures, which are without an owner, inherited by the State, etc. 7. in case of delivery of goods subject to excise tax, the taxable base should include the excise tax. n cases when the delivery of goods and the provision of services related to tourism are carried out wholly outside the territory of the RA, a zero tax rate is applied. VAT is a non-cumulative tax. In calculating VAT, Armenia uses the credit method for all businesses, i.e., VAT paid to suppliers is creditable against VAT collected from customers. Therefore, only the difference between the total VAT collected from customers and the total VAT paid to suppliers during a reporting period is paid. The general VAT rate is 20% of the turnover of taxable goods and services, which is equal to 16,67% of VAT-inclusive prices. According to the Law some transactions and operations are exempt from VAT and some are rated at zero per cent. The difference between exemption and zero rating is that exemption does not compensate a seller for VAT paid and incorporated at earlier stages of the distribution chain; it only exempts the value added by the seller. Zero rating removes taxes incorporated at all stages. transit transportation of foreign loads through the territory of the RA, etc. Upon the export of commodities purchased in Armenia by foreign citizens, VAT amounts paid in Armenia shall be returned by customs officials in compliance with governmental decision. products and services imported to the RA for humanitarian and charitable purposes. Tax invoices must be filed by those suppliers of goods and services who pay VAT. The Tax invoice is the document that confirms the provision of goods and services. VAT on imported goods is levied at the point of importation by customs officials. VAT is calculated and levied for those imported goods that are subject to customs duties; goods, on the approved list, that are subject to zero percent customs duties and are not subject to excise tax, will not be subject to VAT. If foreign businesses or individuals fail to register their business activity and do not register as taxpayers, then any VAT paying Armenian resident who acts on their behalf or at their expense, (including commissions and auction sales), will be deemed as the supplier of the commodities or services in Armenia. Hence, they undertake responsibility for any VAT liabilities arising from these transactions instead of the foreign businesses or individuals. The taxable turnover arising from the supply of these goods and the provision of these services is equal to their cost in monetary value minus the VAT. VAT on imported goods must be paid no later than 10 days after entering the country. Tax declarations must be made monthly, and payments must be made before the 20th day of the following month. VAT is calculated on the taxable turnover with deductions permitted for: 1) VAT noted on the tax invoices received from suppliers of goods and services; 2) VAT withheld by customs bodies of the RA - for goods imported into the territory of the RA. In cases when the norms differ from those provided by this Law and those, which are established by international agreements, concluded and ratified by the RA, the norm of the international agreements shall take precedence.